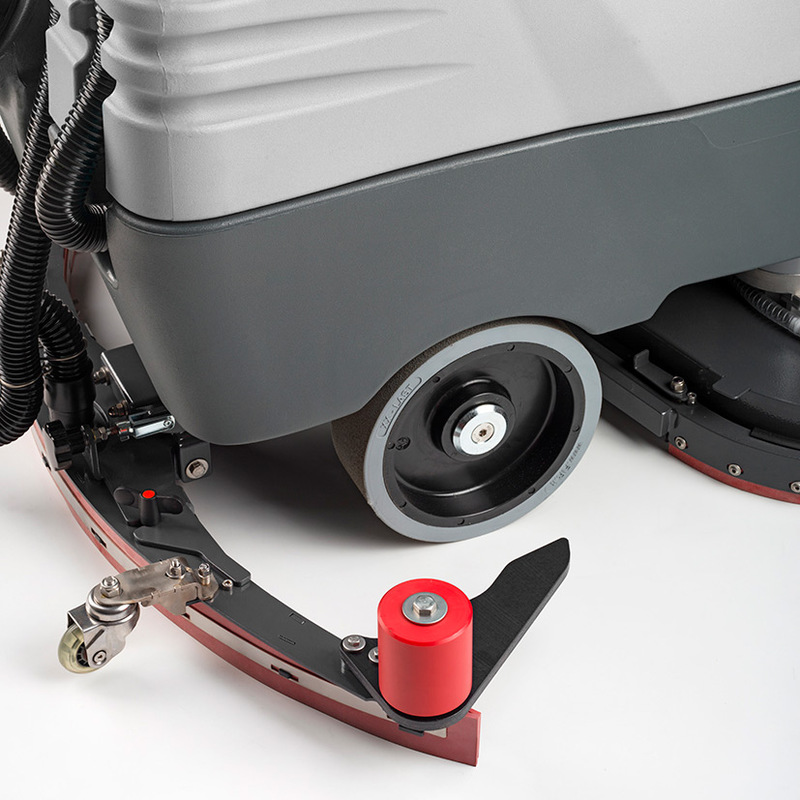 The top selling M750 is revolutionizing the cleaning world, replacing bulky walk-behind scrubbers with a professional economic solution that dramatically reduces cleaning and labor costs. 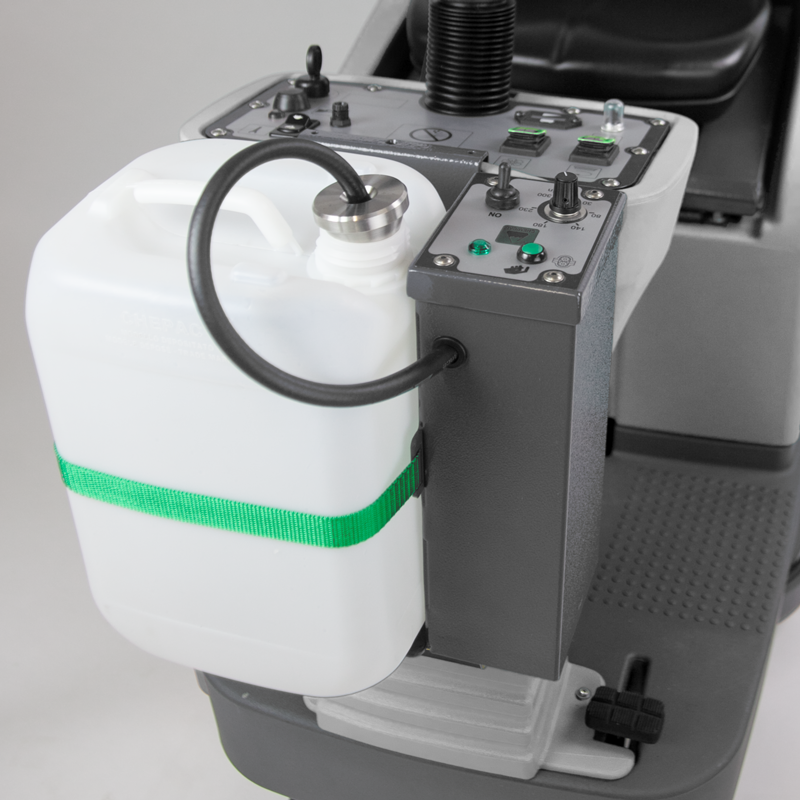 A versatile, manual auto-scrubber that delivers brilliant results fast. 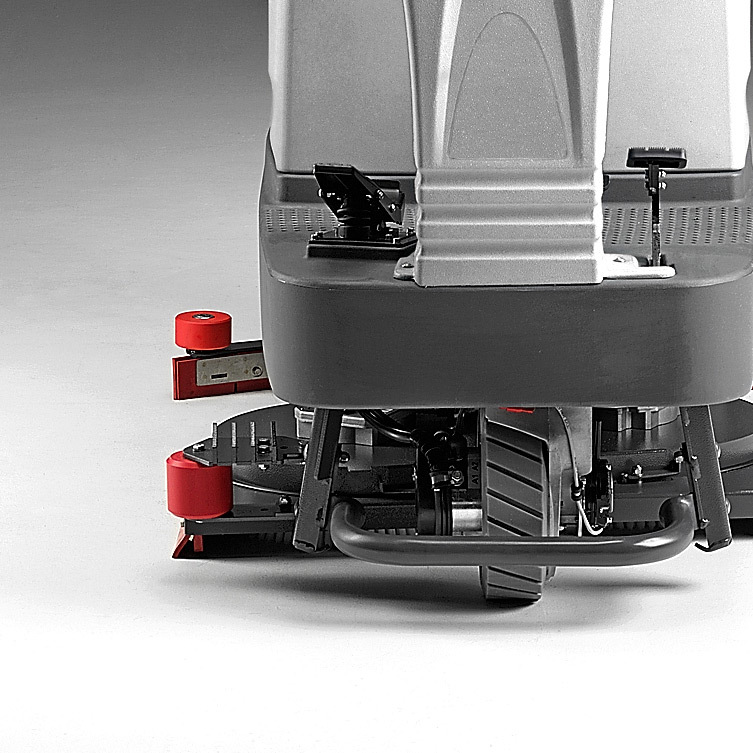 The new 750mm / 30 in ride-on auto-scrubber that’s completely mechanical. 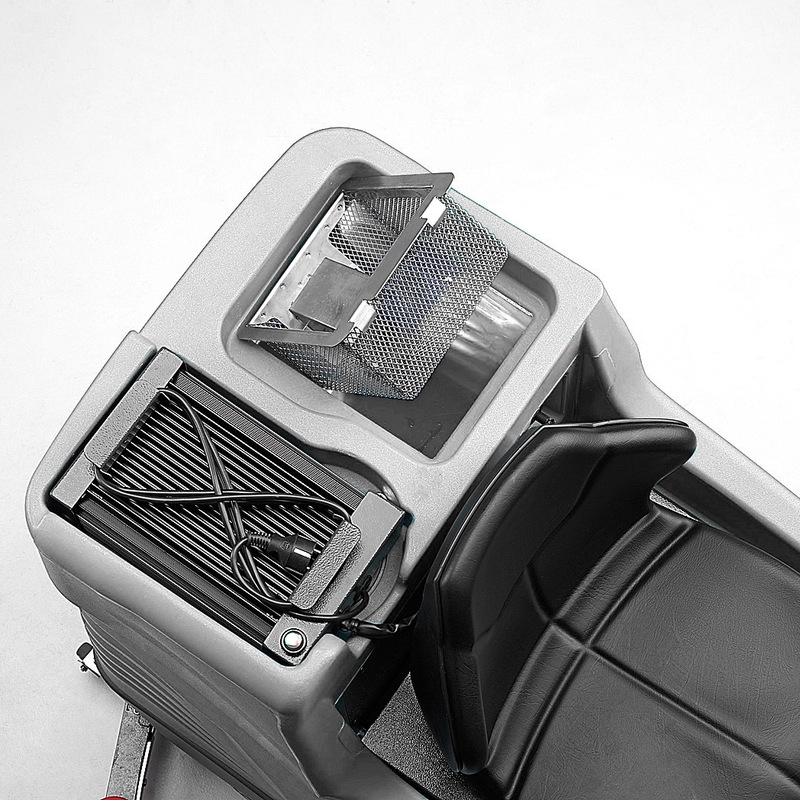 The second auto-scrubber in our compact ride-on range is designed for simplicity and reliability. With a cleaning path 750mm / 30 in it provides a cleaning capacity of 4,500 m²/hour or 48,400 ft²/hour. 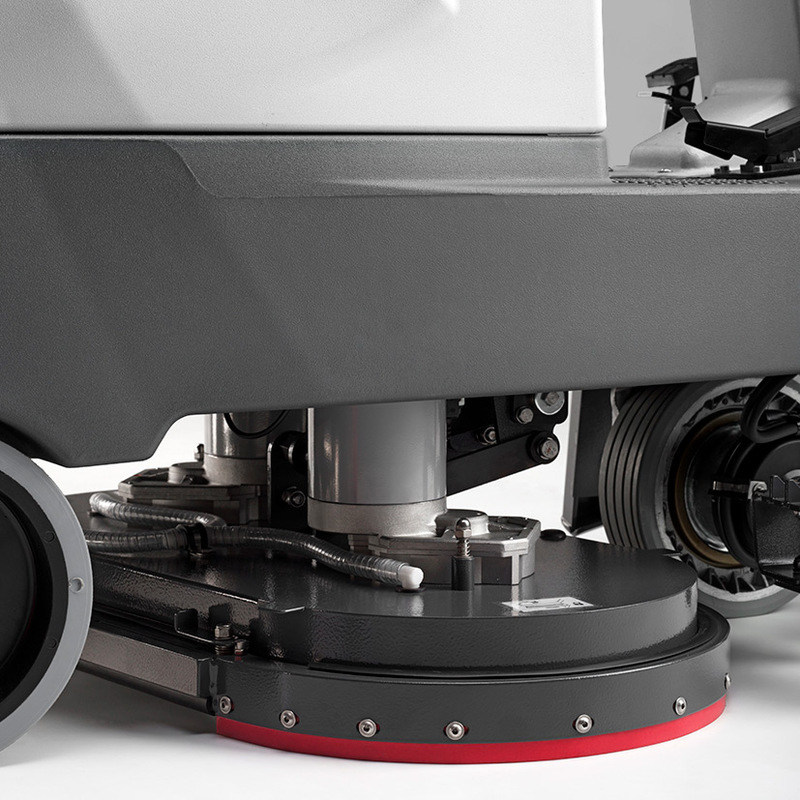 The M750 is a compact machine with impressive maneuverability that delivers results fast, making it the practical and modern alternative to a bulky walk-behind auto-scrubber. 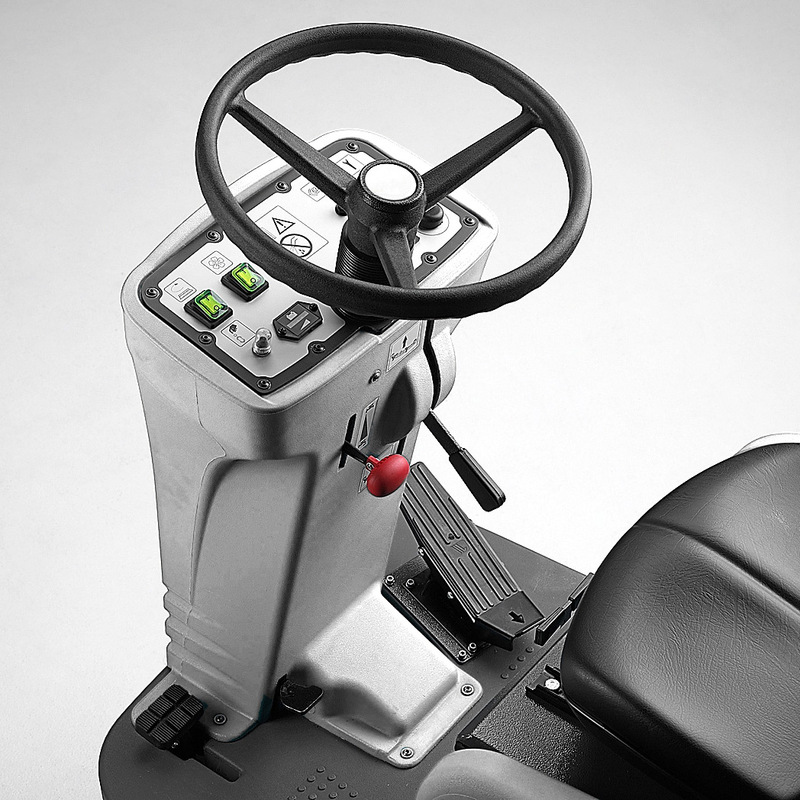 The combination of a compact design and high productivity means the M750 is perfectly adapted to both confined spaces and large floor areas. 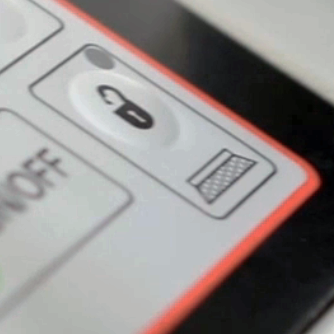 Manual functions guarantee low maintenance and longevity, while easy to use controls ensure incredibly intuitive operation. 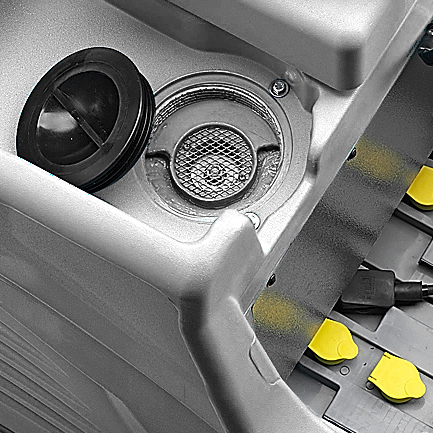 Simple, easy to locate controls make the M750 very user-friendly. Immediate operation without the need for complicated training. 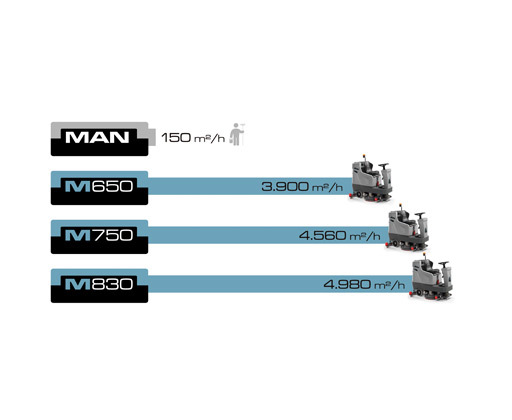 Up to four hours of constant use, MACH has optimized the energy consumption in this line of machines for maximum uptime. 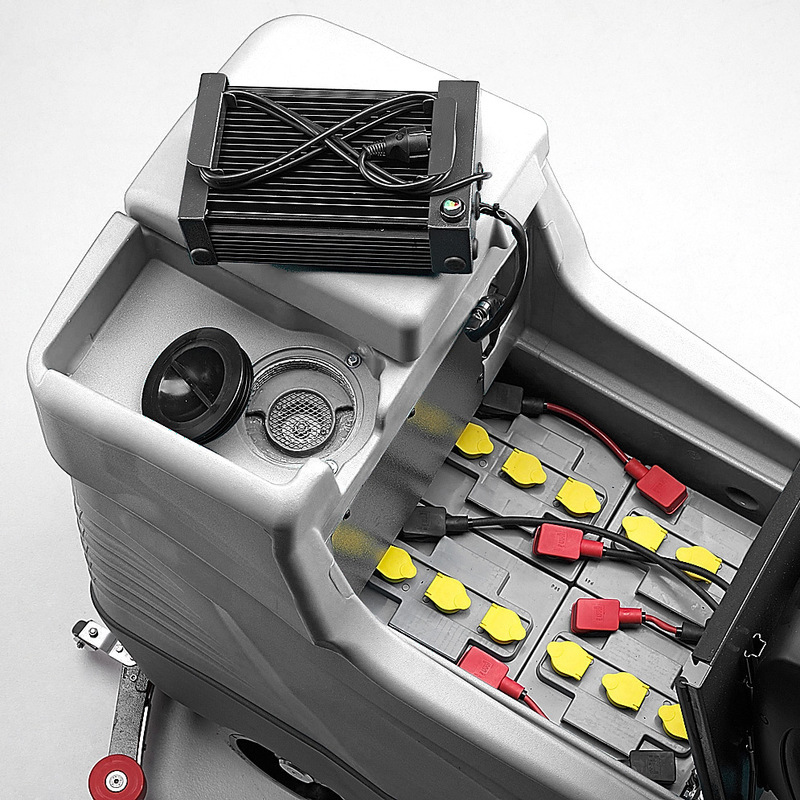 Onboard battery charger for easy, safe charging. The M750 is part of the MACH scrubber series available with frame and metal components in stainless steel, the ideal solution for use in highly corrosive environments.